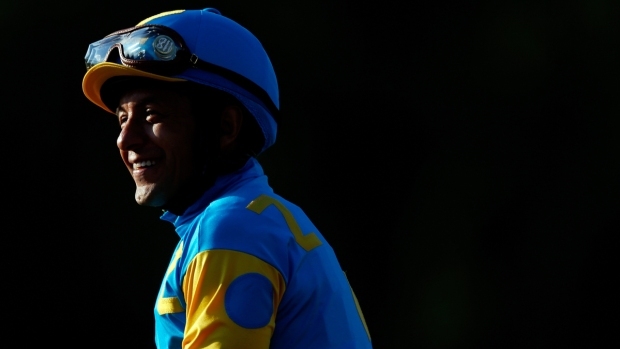 Can't make it to Churchill Downs for the Kentucky Derby this year? You can still join in the fun by throwing your own Derby party, with the help of hats, bourbon and a lot of mint. Here are some tips — courtesy of a veteran hostess and a professional party planner — on tapping into the Derby's Southern tradition to thrill guests at your own Derby bash. 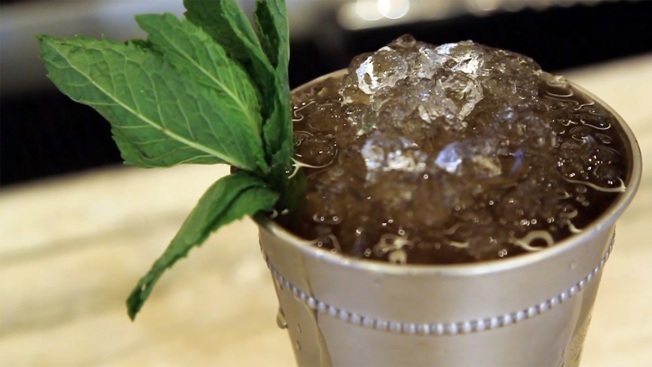 Mint juleps are just the beginning. Southern-inspired fare can help give your soiree an authentic Kentucky Derby feel. Louisiana crawfish and beet salad, sweet potato hash and bourbon-glazed short ribs are just a few of the recipes shared on the Derby's official website. And of course, mint juleps are a must-serve drink. Marion Rogers, 96, who hosted Kentucky Derby parties for 30 years in her St. James, New York, home, served each of her parties' roughly two dozen guests mint julep in one of the official Kentucky Derby glasses she had collected over the years. Party planners Seri Kertzner and Michelle Bachman, who together style parties in New York and the Hamptons with Little Miss Party Planner, suggest doubling down on the mint theme by serving crudites out of mint julep cups. Dress up your home, and your head. The mint need not end with the juleps. You might as well use them as your decor, too, to save on costs, suggests Kertzner. “Instead of buying flowers, decorate your home with mint. It will look pretty and smell pretty,” she said. But maybe the most important decor for any Derby party takes place on everybody's heads, with the Derby's trademark whimsical hats. That could make an outdoor party especially welcome, at least while you're not gathered inside to watch the race itself on TV. If you go that route, try bringing a portable radio outside so people can listen to the race, in a throwback to Derby races of yore. “Ladies can put their hats to good use while enjoying the sun and warm air,” Kerzner said. You can bring some of the competition set to happen on the track in Louisville into your own home with Derby-inspired party games. Give your guests a reason to watch the race with your own betting pool — no knowledge of horse racing required! Ask each guest to bring a small entry fee and to draw a slip of paper with a horse and its odds of winning. Whoever has the the horse that takes the prize gets to take home all the money in the bag. At Marion's parties, where guests would bring $2 each, the winnings would be about $40. If your guests prefer style over the sport, tell them to come dressed to impress, and host a "best hat" contest. 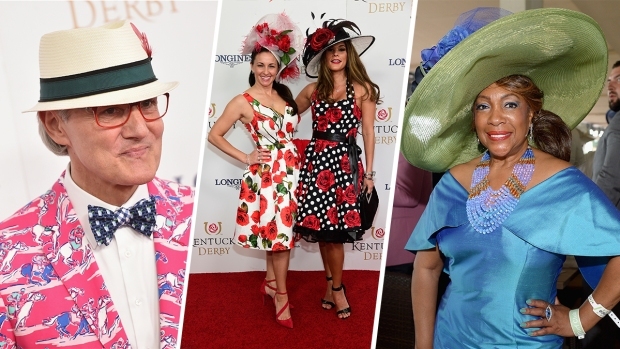 The tradition of wearing fashion-forward hats to the Derby is thought to bring good luck, according to race organizers. Flowers, feathers and bows are staples of the often oversize headpieces, which can range from classy to wild. Kerzner suggests picking up figurine horses from a craft store and spray-painting them gold, then using them as trophies in categories like best or biggest hat. And whether your guests are cheering for horses or for hats, be prepared for them to make some noise. It's tradition that everyone stands to sing "My Old Kentucky Home" as the horses make their way to the track. Once the race begins, expect spirited cheering to break out. "People would hollar and scream during the race," Marion Rogers' daughter, also named Marion, recalled of her mother's decades of parties, "but at least one person could hear who won."